Eckhard Beger, born in Geneva, Switzerland, designs and creates contemporary art furniture. His works have been the recipients of renowned international design awards. He founded ArteNemus for the design, realization and distribution of his creations. Beger’s approach is multi-faceted, blending creativity with structure. His aesthetic identity is influenced by his European cultural heritage, his passion for foreign cultures and by extensive travel throughout the world, notably Asia. Through his innate sense of shapes and proportions, he translates harmonious curves into accomplished organic creations, thus overcoming the aesthetic limitations of plane surfaces and straight lines. As a musician himself, who plays an Ignacio Fleta & Hijos guitar made from Indian Rosewood, Eckhard Beger feels that aesthetic and musical harmony go hand in hand. Beger’s works are based on the formal association of exotic wood species and art craftsmanship. According to him, exotic wood species are a reflection of the diversity of the 5 continents of this world. Their selection and combination emphasize the three-dimensional character of his creations. His attention to detail and appreciation for art craftsmanship was heightened through his professional experience in the world of fine watch making which is expressed in his works, each notable for their perfect finish and tactile nature. In emphasizing aesthetics, Beger opens the door to a new understated and sensual design language, naturally inviting contemplation and discovery. 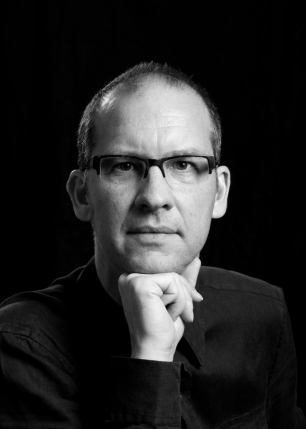 In addition to his musical education at the Geneva Music Conservatory, Eckhard Beger holds an MSc from ETHZ and an MBA from INSEAD.